If you have been charged with a criminal offense or a DUI in Moorestown, New Jersey, it is vital to seek guidance from a knowledgeable criminal defense attorney. At our criminal defense law firm, our highly experienced lawyers have been defending clients charged with crimes like simple assault, harassment, marijuana possession, and criminal mischief in Moorestown for years. One of our partners, William C. Fay is a former Deputy Attorney General who now leverages his prosecutorial experience to provide the best defense to our clients. With his extensive experience and dedication to achieving the best possible outcomes, Mr. Fay has earned a five out of five rating on Avvo and countless grateful clients along the way. If you or a loved one is arrested in the township of Moorestown, our attorneys will ensure that your rights are protected. After a comprehensive review of the evidence, we will develop the most effective strategy to resolve your case and help you minimize or avoid the penalties you’re facing altogether. For a free consultation with a Moorestown criminal defense attorney, contact our law firm at 609-832-3202 or fill out our online form. Moorestown is a township in Burlington County, New Jersey approximately 10 miles east of Philadelphia. According to the last U.S. census, the population of Moorestown township was 20,726. The number of residents in Moorestown has been rising steadily for years due to its status as a very desirable place to live. In fact, based on its great schools, easy commute to nearby cities, extensive housing opportunities, and low crime rate, Moorestown was ranked number one among the 100 best places to live in America by Money Magazine in 2005. Although serious crimes seldom occur in the township, Moorestown is a common site for DWI arrests and disorderly persons offense charges. With the township’s nearly 15 square miles, the following charges are issued on a regular basis: possession of CDS, disorderly conduct, trespassing, resisting arrest, driving while intoxicated, and drug paraphernalia possession. All charges for disorderly persons offenses and traffic violations issued in Moorestown are handled in the neighboring town of Cinnaminson. Disorderly persons offenses in New Jersey may result in any of the following penalties: up to 6 months in the Burlington County Jail, a maximum fine of $1,000, driver’s license suspension for 6 months to 2 years, community service, restitution payments, probation, and a criminal record. If you are convicted of a disorderly persons offense, you can only seek an expungement of your criminal record 5 years after the date or conviction, payment of fine, or completion of probation (whichever is latest). Motor vehicle violations like driving under the influence (DUI) of drugs or alcohol are also sent from Moorestown to the Cinnaminson Municipal Court. Depending on the specific traffic offense, you may lose your driving privileges, be required to pay extensive fines, accumulate points on your license, and have to deal with collateral consequences like steep increases in your insurance premiums. If you have been charged with an indictable crime in Moorestown township, your case will be transferred to the Burlington County Superior Court in Mount Holly, NJ. Indictable offenses (felonies) are punishable by more severe consequences, including incarceration in NJ state prison. As mentioned above, if you are charged with a disorderly persons offense or a traffic violation in Moorestown, NJ, your case will be heard and decided in the Cinnaminson Township Municipal Court. 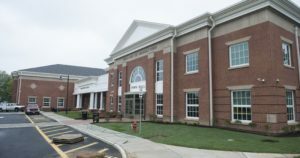 However, Moorestown also has a physical address where court-related activities are handled. The Moorestown Municipal Court is located at 1245 N Church Street, Suite 4, Moorestown, NJ 08057. The court can be reached at 856-235-0922. The fax number is 856-914-3067. Court hours are Monday through Friday from 8:30 am to 4:30 pm. The court administrator is Karen Ketchen. For more information about the Moorestown Municipal Court, visit their page. If you have an upcoming court date in Cinnaminson Municipal Court for criminal or DWI charges in Moorestown, here’s some useful information about the court for your reference. The Cinnaminson Municipal Court is located at 1621 Riverton Road, Cinnaminson, NJ 08077. Court hours of operation are Monday through Friday from 8:30 am to 4:00 pm. The court can be contacted by phone at 856-829-4027. The fax number is 856-829-2893. The Presiding Municipal Court Judge is Honorable Richard E. Andronici, JMC. The prosecutor is Daniel Gee, Esq. The court administrator is Dana Aldrich and the deputy court administrator is Bridget Gentile. Moorestown Court sessions are held on Wednesdays. For more information, visit the court website. For more information about Moorestown Township in Burlington County, NJ, access their official website. The Moorestown Police Department has 33 full-time officers on staff, as well as 7 part-time officers. The Department is located at 1245 N Church Street, Suite 2, Moorestown, NJ 08057. For non-emergency calls, dial (856) 234-8300. To read more about the Moorestown Police Department, visit their PD page. To read news and recent happenings in and around Moorestown, check out the Moorestown Patch. If you have been arrested on a complaint-summons or issued a traffic ticket in Moorestown, NJ, our skilled criminal defense attorneys are here for you. To find out how Attorney William Fay can help you successfully resolve your criminal or traffic matter, contact us now at 609-832-3202 for a free consultation. Having defended countless clients against criminal charges in Moorestown and Burlington County, we know what it takes to beat your charges and will fight for your innocence.